The Leftovers creator Damon Lindelof’s “remixed” series adaptation of Alan Moore’s groundbreaking graphic novel Watchmen for HBO is getting an appropriately moody soundtrack. 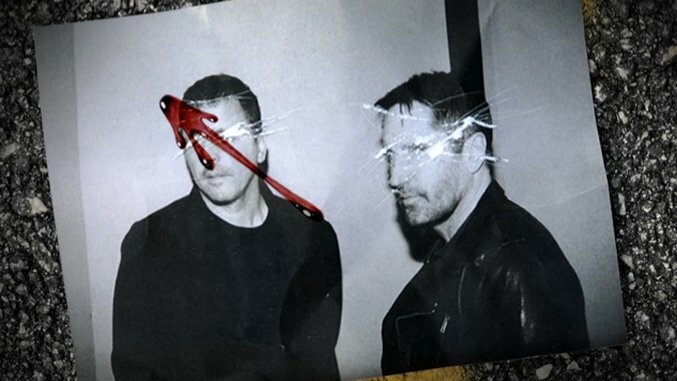 Trent Reznor and Atticus Ross will be composing music for the forthcoming adaptation, the pay-cabler announced Thursday. The team behind the Oscar-winning score for The Social Network, among others for the likes of Gone Girl and Ken Burns’ PBS documentary The Vietnam War, Reznor and Ross have struck a winning partnership as film and TV composers. Reznor, of course, is the leader of wildly successful industrial-rock band Nine Inch Nails, which Ross joined as a permanent member in 2016. Set in an alternate history in which “superheroes” live as outlaws and the United States won the Vietnam War, Watchmen explores American anxieties tied to the nuclear threat, as well as complex themes of power, identity and freedom. The composer duo should help Lindelof craft a fittingly dark but compelling take on Moore’s monumental source material, which has proven notoriously difficult to bring onscreen. Zack Snyder made an overlong, costly and self-serious attempt to wrangle the series into a single film with his 2009 film adaptation, which was a critical and commercial disappointment. To his advantage, though, Lindelof has experience tackling similarly ambitious themes, as he did on HBO’s cult favorite The Leftovers, and he has the leeway to take more liberties with the source material than the overly faithful Snyder adaptation. The forthcoming HBO adaptation will star Regina King, Don Johnson, Jeremy Irons, Tim Blake Nelson, Louis Gossett Jr., Yahya Abdul-Mateen II, Andrew Howard, Tom Mison, Frances Fisher, Jacob Ming-Trent, Sara Vickers and Dylan Schombing. Lindelof will executive produce the series alongside Nicole Kassell, Tom Spezialy, Stephen Williams and Joseph Iberti. Kassell will direct the pilot, with Williams taking on directing duties for the rest of the series. White Rabbit will produce in association with Warner Bros. Television. Hopefully, loyal Watchmen fans will get the successful adaptation that they’ve been waiting for with the new series, but for everyone else, news of more music from Reznor and Ross is always welcome. Check out footage of Nine Inch Nails’ Woodstock 94 performance from the Paste vault below.